The lovebirds Chioma and Davido keep entertaining us with different episodes of romance online and offline. 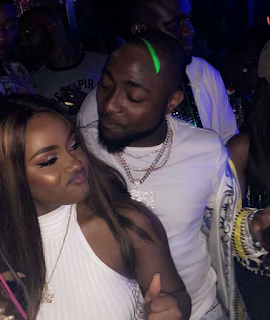 Davido gives his girlfriend Chioma another major assurance again. At first it was buying her a N45 million Porsche for her birthday. Then making new music “Assurance” dedicated to her with a video where she was the only video vixen and it just gets better. Davido might be taking his relationship with Chioma to a whole other level. In a suggestive post Davido mentioned he wants to settle down with Chioma. He wrote, “The Love of my life !! Can’t wait to spend forever with you“. Going by Davido’s post it’s pretty obvious he is ready to get married to Chioma anytime soon.